Stock market volatility from May continued into June and, although stocks faltered toward the end of the month, major indexes ended the second quarter of 2018 in positive territory. Trade tensions remain in focus between the European Union (EU) and China. Inflation measures watched by the Federal Reserve moved above its target for the first time in six years. The price index for personal consumption expenditures, excluding food and energy costs, rose 2% in May from a year earlier. This measure hitting the 2% target signals that economic growth is picking up steam following a long run of slow growth. Stable prices and maximizing employment are the Federal Reserve’s “dual mandate,” and future readings of these two factors will likely dictate interest rate policy. Investors will be watching to see how far above the 2% target the Federal Reserve is comfortable with inflation rising with such positive conditions. Bondholders typically expect to be paid interest to make up for the risk they might not be paid back. 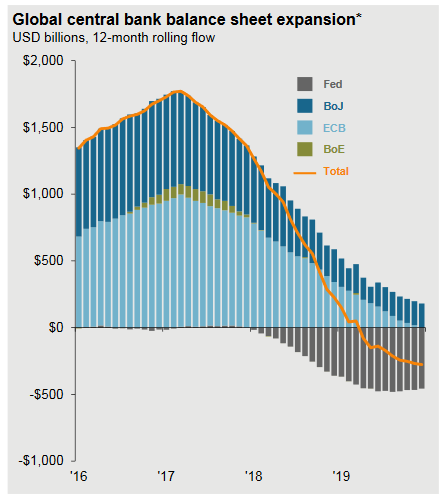 Yet trillions of dollars of debt is trading at prices so high that the yield is negative. This comes as global central banks transition policy through the remainder of 2018 and into 2019 that’s meaningfully different from recent years. 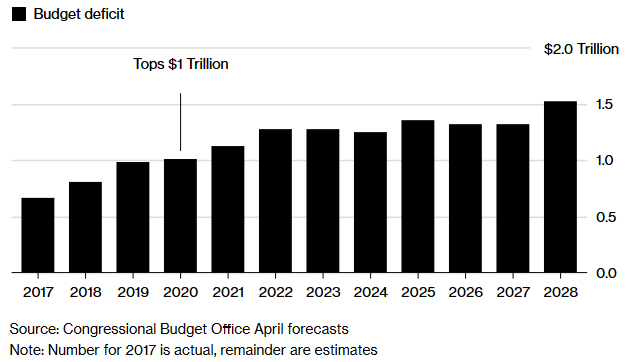 The Treasury Department predicts the U.S. government’s borrowing needs in the second half of 2018 will jump to the most since the financial crisis a decade ago despite a strong economy. The Treasury is boosting sales of bills, notes and bonds to help finance a budget gap that’s widening after $1.5 trillion in tax cuts signed late last year and Congress approved a roughly $300 billion spending increase. Those are both monetary and fiscal policies that are problematic over the longer term. In the short run, we should absolutely be experiencing the best of economic times. Will the problem solve itself? Tough to know, but good company earnings results continue to be reported daily. Despite most of the news and short-term concerns, most of our clients tell us that they’re in it for the long haul. We are encouraged to find clients are not requesting portfolio changes based on short term market volatility or expectations. To use an analogy, when you plant a tree, you choose a sunny spot with good soil and water. Apart from regular pruning, you let the tree grow. This doesn’t mean that we should do nothing. Part of that discipline involves maintaining the desired asset allocation by regularly rebalancing along with monitoring exit points both in strong and weak conditions. This is a disciplined, premeditated approach compared to the way financial media covers portfolio management and the latest news releases.